The maintenance cost proposal is based on the control package (Bronze, Silver, Gold or Platinum) which are used to indicate the size of the system and hence the required support for the contract period. A Bronze care package means that you will have full remote support, irrespective of the control package that you have, you’ll benefit from all the features explained in our T&C’s with the exception of any physical call outs. In summary you’ll have quicker response times, unlimited remote support/configuration changes and a free 30min diagnostics visit if we happen to be in your area. Not to mention discount on all future works whether physical support or additional works. A Silver care package would include anything up to 6 control packages. Typical packages are shown here, however there could be any combination. This package includes 1 physical call out for the the year, which is usually used as the annual maintenance visit. Not to mention discount on all future works whether physical support or additional works. A Gold care package would typically have up to 9 control packages as shown here, however you could have any combination of control packages. This package includes 2 physical call outs for the year, inclusive of 1 annual maintenance visit alongside an emergency call out if required. Not to mention discount on all future works whether physical support or additional works. Check configuration is up to date to the latest Loxone standards, any obsolete function blocks updated accordingly. JSJ notified of any system warnings automatically, e.g battery levels, potential heating issues. 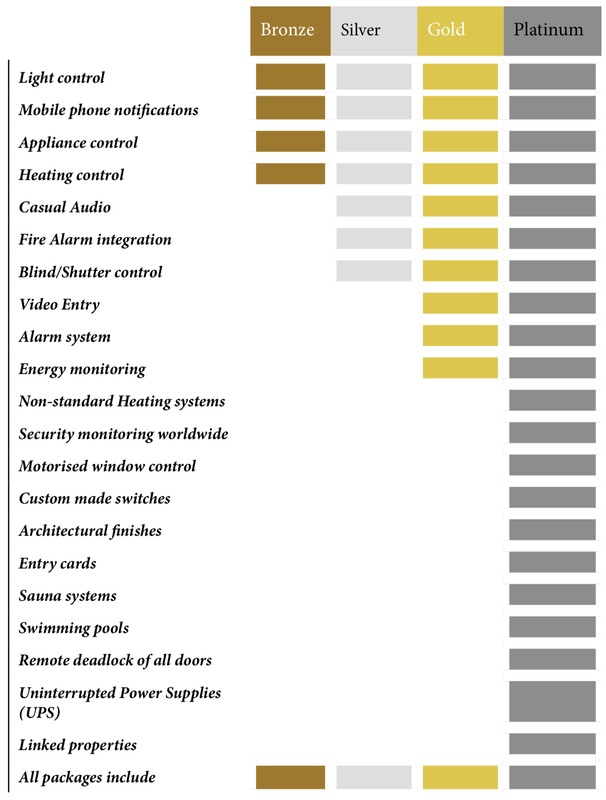 On each visit JSJ Smart Homes will ensure, by means of visual checks that devices are secure, undamaged and that operational devices are free from obstructions and thus excessive heat. JSJ will also check that the main user is fully aware of how to use the system and also conscious of any new releases. At JSJ Smart Homes, we normally respond within 4 hours of the support ticket. Please be sure to email support@jsjelec.com for the optimum response time, as your email will be automatically validated. Contact to member of staff’s direct telephone may not be picked up in time and hence may be subject to delays outside of this agreement. Free remote diagnostics. Find issues before they arrive. What does an annual Service included? Physical visit (if included) to check equipment, run diagnostics tests and do any tweaks you’d like, although you’d need to give us notice before we arrive. Spontaneous requests may not be able to be dealt with onsite. What if do not want a care package? The care package is optional however it is highly recommend. When you contact our support team on an issue, we automatically prioritise those who are part of our care plan. Users outside of the plan will experience significantly longer wait times than those inside the plan, not to mention the discounted prices. Please see our 2018 revised Pricelist. This price list comes in to force as of April 1st 2018. We recommend that all our clients take out at least the minimum Bronze package. JSJ partner with Loxone to bring affordable smart properties to the UK & beyond.